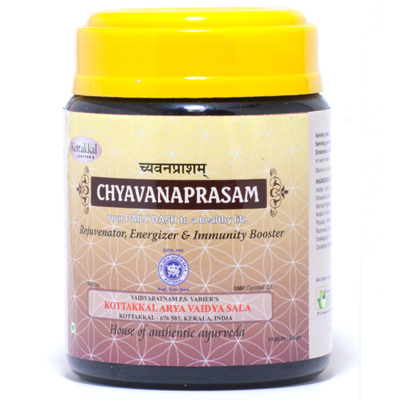 Chyavanaprasam is a holistic approach to rejuvenation. As a daily dietary supplement, it helps build bodily strength, mental clarity and it reduces the risk of getting sick from lack of immunity. Very popular with all age groups, this herbal formula is filled with vitamins and minerals from different fruits and plants. Directions of Use: Take 1-2 Tbsp twice daily as a healthy regime.